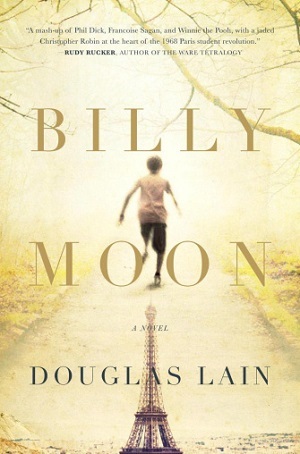 Billy Moon is Douglas Lain’s debut novel, and it’s one of the most original fantasies I’ve read recently. We follow an alternate version of the grown Christopher Robin Milne, who is still coping with the fame thrust upon him by the success of Winnie the Pooh. Things aren’t helped by the fact that he occasionally runs into things that are just plain impossible, and his son has been diagnosed with autism. As he struggles to connect with his son and make sense of his life in, he receives an invitation to Paris from student Gerrard Hand to join the May 1968 protests. The ensuing events form the meat of this book. I had the constant feeling that I was missing something while reading Billy Moon, but I also had the suspicion that this feeling was what the author intended me to feel. The themes of the book make sense, the prose is lyrical and flows beautifully, the magical realism is expertly done – sometimes delighting, but often frightening. If you’re expecting a linear story where you know exactly what’s going on, or even which reality you’re on… this is not the book for you. I was left with a whole bunch of confusion at the end, but even though I was confused, at no point did I actually want to stop reading the book. I wasn’t quite sure whether I should even attempt a review of Billy Moon, since I don’t really have a clear verdict on it. I hope that posting my honest reaction qualifies, even if it’s not in the traditional review format. I did read other reviews, and they seem universally glowing (I was tempted to write a similarly glowing one myself rather than admit to not quite getting everything in it), so I’d definitely recommend giving it a shot (which is easy to do because I’m giving a copy away!). I plan to do a reread in a few months to see if I can get more from it, though, and I’ll update this post when I do! You might also be interested in my Billy Moon giveaway and interview with author, Douglas Lain. Keep an eye out for that post!